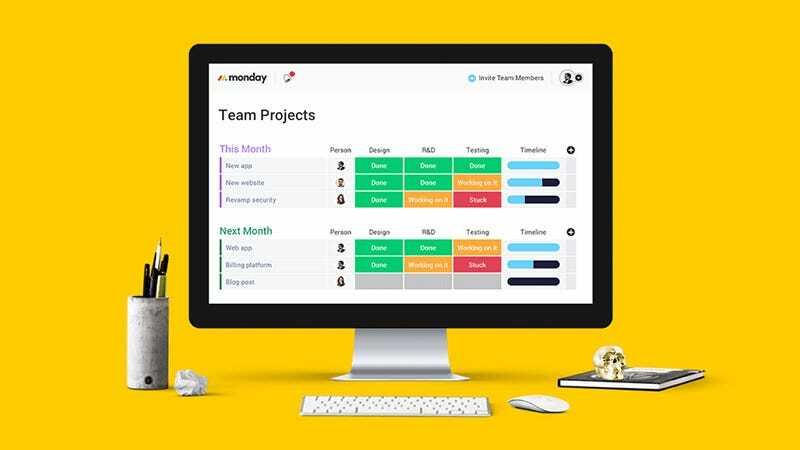 monday.com lets you manage your team’s workload in a single dashboard. See who’s working on specific tasks, delegate responsibilities, and see the status of where things stand. It also streamlines team communication, reducing the need for meetings and long threads. Get a free 14-day trial, after which plans start at $29 per month.